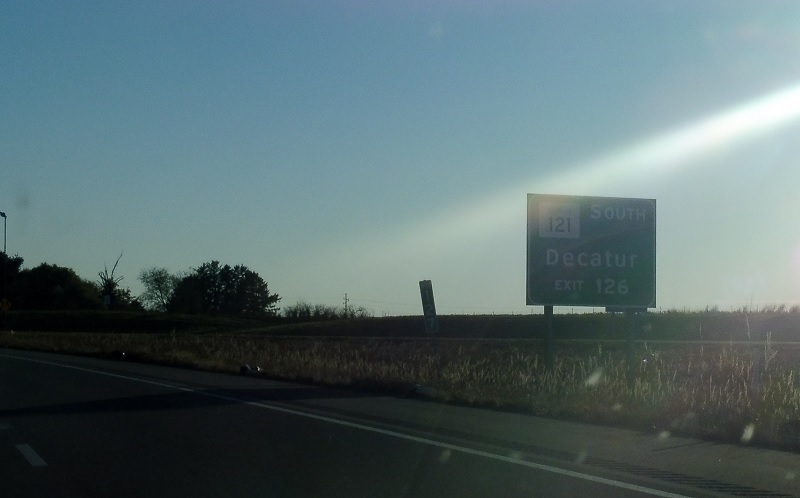 Immediately after I-155 we’ll approach IL 10/121. 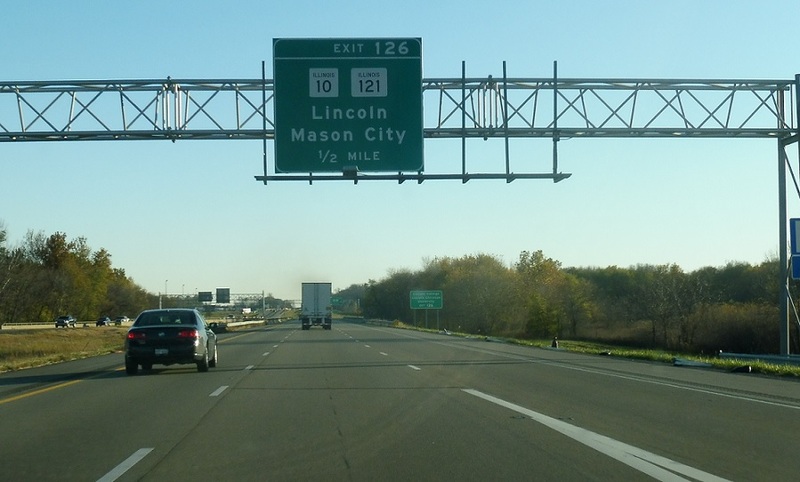 Both routes head into Lincoln. 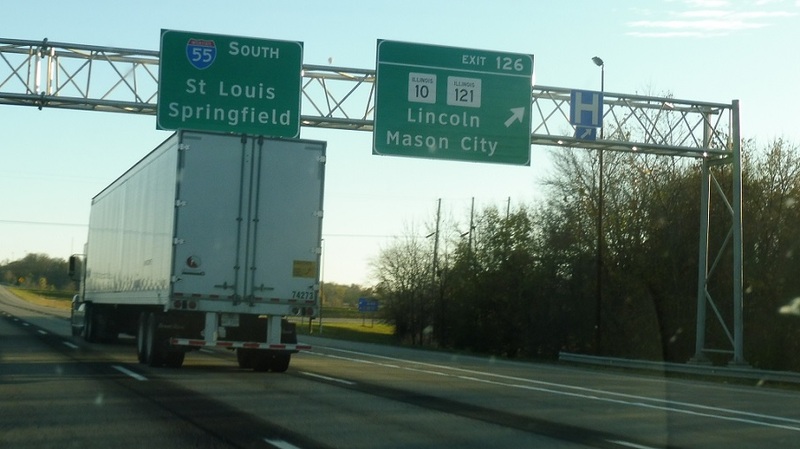 10 heads west to Mason City.